Inside this Dora The Explorer tin box is a Blueberry cup cake soap top with white icing, boots the monkey, a colorful bath cloth and stickers. 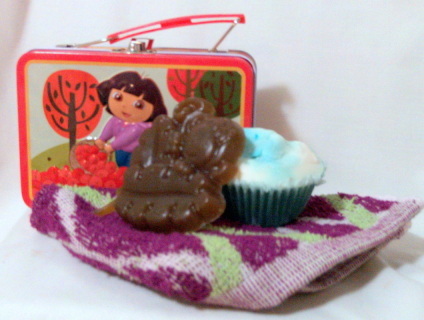 Both soaps are made from glycerin soap base, moisturizing herbal oils, fragrance and colorant. 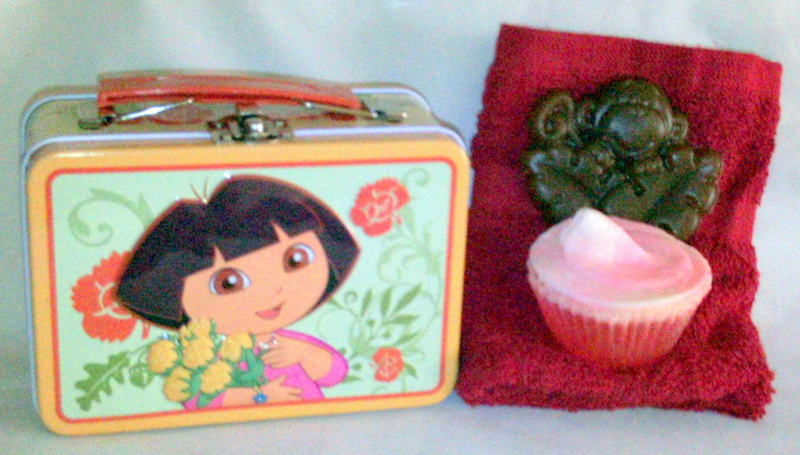 Inside this Dora The Explorer tin box is a Cherry cup cake soap top with white icing and boots the monkey, a colorful bath cloth and stickers. Both soaps are made from glycerin soap base, moisturizing herbal oils, fragrance and colorant. Inside this Disney Princess tin box is a Crown soap and a Butterfly soap both with stickers inside and a colorful bath cloth. 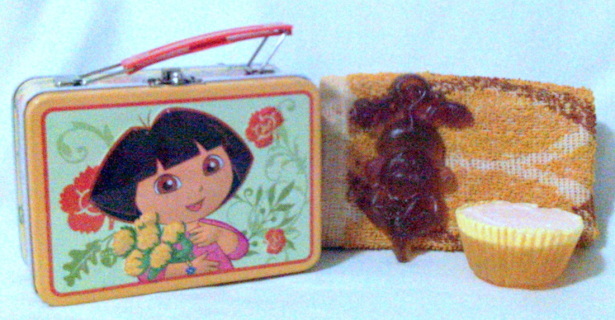 Both soaps are made from glycerin soap base, moisturizing herbal oils, fragrance and colorant. Inside this Spider-man tin box is a Spider-man soap and a Spider soap both with stickers inside and a colorful bath cloth. 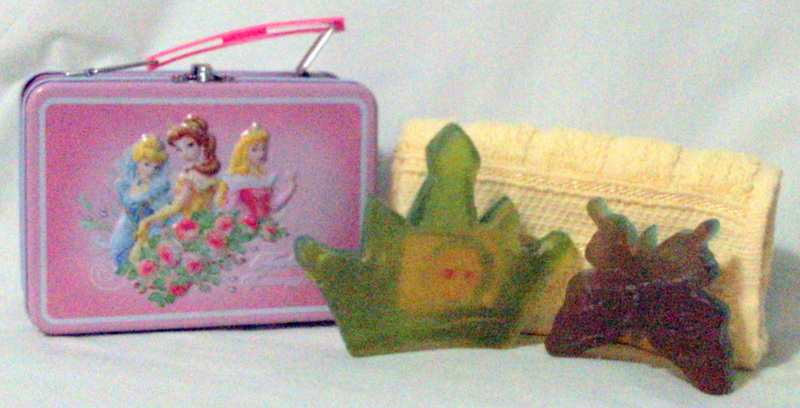 Both soaps are made from glycerin soap base, moisturizing herbal oils, fragrance and colorant. soap wt. 4 1/2 oz. Inside this Spider-man tin box is a Spider-man soap and a Villain soap both with stickers inside and a colorful bath cloth. Both soaps are made from glycerin soap base, moisturizing herbal oils, fragrance and colorant.